Hemp Agrimony is native to Europe. It is a robust, clump-forming perennial growing to 30cm - 1.5m. End of summer, mauve-pink to purple or white flowers are borne on dense, flat top corymbs at the top of the stems or branches. When bruised, all parts of the plant have the pleasant aromatic smell of cedar when it is burnt. It is half hardy and will grow out again in spring. The whole plant – harvest in the summer and dry for later use. 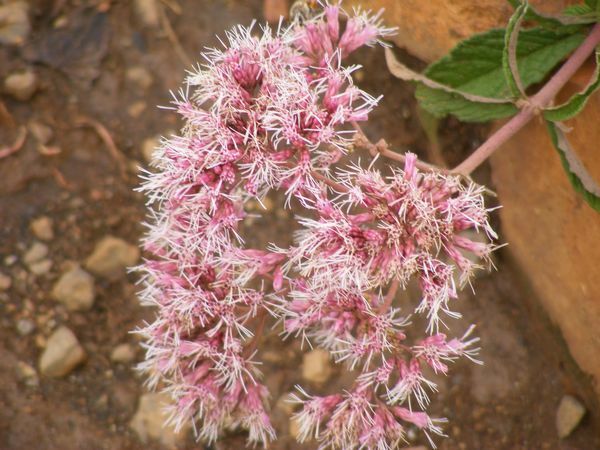 Hemp Agrimony is a diuretic herb that has a tonic effect – it stimulates the removal of waste products via the kidneys. It stimulates the immune system by helping to maintain resistance to acute viral infections and arresting the growth of tumors. 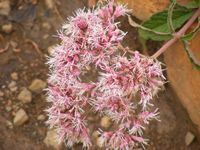 Hemp Agrimony treats influenza and disorders of the liver, spleen and gall bladder. It is excellent as aperitif and in case of hepatic weakness. Infusion: One spoonful of dried herb for one bowl of water: 2 or 3 cups a day. A good wound herb – prepare a compress by brewing a decoction with 30g herb in one liter of water. The leaf juice can be rubbed onto the coats of animals as an insect repellent.